Passport is required for this trip. Please make sure you have it with you!! Our delightful journey begins with our becoming better acquainted with our tour director and other passengers with whom we will be spending the next 16 days. We have lunch near Salem, Virginia, and travel through the beautiful Shenandoah Valley on our way to Chambersburg, PA for our frst night. Time passes quickly today as we travel through the states of Pennsylvania, New York, Connecticut and Massachusetts before entering New Hampshire. Early evening fnds us arriving in Portsmouth, New Hampshire for overnight. We have a short drive to Portland where we will make a photo stop at the Portland Headlight situated on the rugged coast of Maine. This is the oldest light house in continuous use in the United States. We continue northeast through Maine stopping for lunch in Bangor. After lunch we continue to Calais, Maine where we cross the border into New Brunswick. We make a stop at Reversing Falls Information Center before crossing the bridge arriving in St. John, for overnight. We depart St. John making a stop at Hopewell Rocks, also called the Flowerpot Rocks or simply The Rocks. They are rock formations caused by tidal erosion in The Hopewell Rocks Ocean Tidal Exploration Site, and are located on the shores of the upper reaches of the Bay of Fundy at Hopewell Cape near Moncton, New Brunswick. Due to the extreme tidal range of the Bay of Fundy, the base of the formations are covered in water twice a day. After lunch we continue to Nova Scotia arriving in Halifax for a two night stay. This morning we are taken on a guided tour of the city, viewing the Citadel, Historic Properties, Public Gardens, Maritime Museum and the Waterfront. 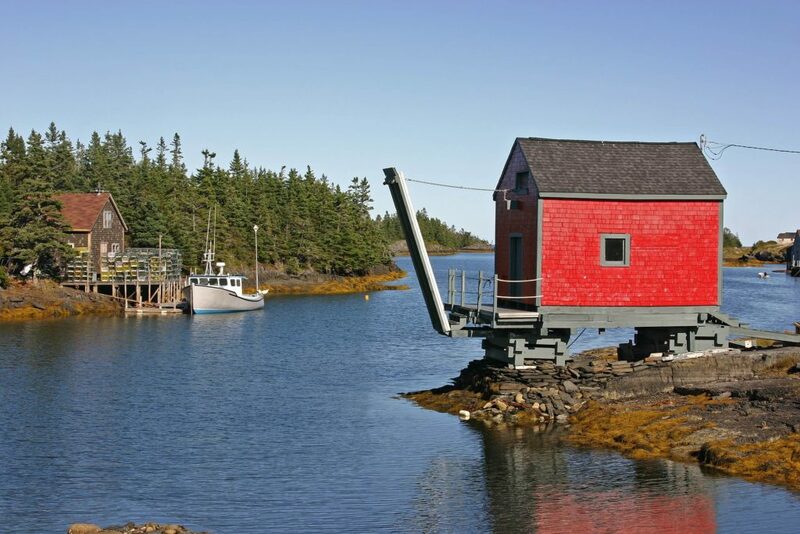 In the afternoon, we will visit one of the world’s most renowned artist colonies, Peggy’s Cove—a quaint little fshing village that refects a character unique to North America. By mid-afternoon we return to our hotel in Halifax where the remainder of the day is free to relax or savor more of this historic old city. This morning we leave Halifax and wind our way across the Strait of Canso to Cape Breton Island and the village of Baddeck, whose tranquil beauty imprints an atmosphere of old Scotland. Here we visit the Alexander Graham Bell Museum. Baddeck will be our home for a two-night stay. Dinner in the evening is included at our hotel. After breakfast (included) this morning, our day is devoted to seeing the splendors of Cape Breton Island and the Cabot Trail, named for John Cabot, who claimed the land for England in 1497. This is one of the most scenic and spectacular highways on the continent. 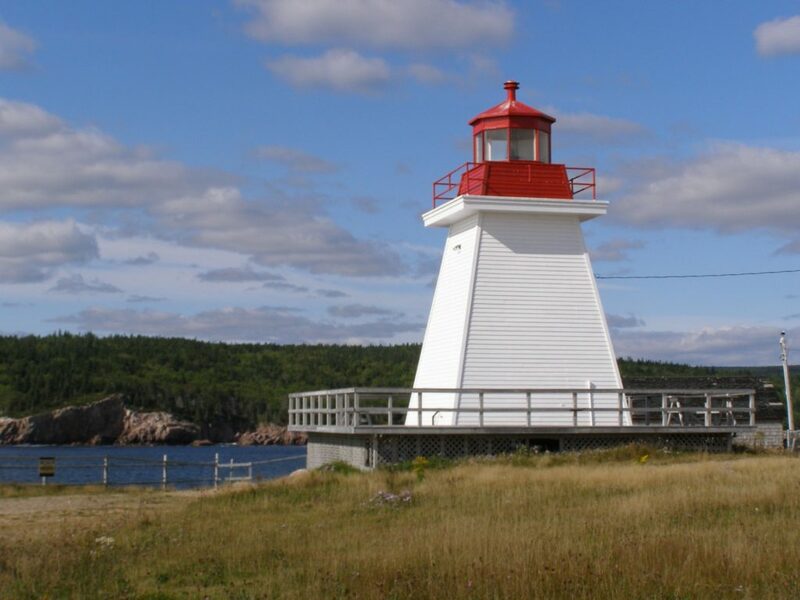 We will wind through Cape Breton Highlands National Park past numerous small towns, hamlets and fshing villages over majestic rocky bluffs, over summits of lofty peaks, and through deep stream-lined valleys. We depart Baddeck this morning after another delightful breakfast (included) and cross the Canso Strait and continue to Caribou for a short ferry cross- ing over to Prince Edward Island—Canada’s smallest province and one of the most beautiful. Charlottetown, the capital of Prince Edward Island and its commercial and educational center, is our destination for the night. In the evening we will enjoy a delicious Lobster Supper for which the area is famous. We will tour Charlottetown, visiting Cavendish and Green Gables, the farm house immortalized in the novel “Anne of Green Gables”. After lunch we cross the Northumberland Strait on the Confederation Bridge that links Prince Edward Island to New Brunswick. Moncton, New Brunswick is our destination for the night. This morning we cross into the Province of Quebec and on to the Gaspe’ Peninsula. We travel along the picturesque south shore overlooking the placid waters of the Baie des Chaleurs and arrive at the quaint village of Perce’ for overnight. This is truly a high spot on the tour. Upon arrival we will take a boat cruise around Perce’ Rock and famed Bonaventure Island, a natural bird sanctuary. Dinner is included at your hotel this evening. Breakfast is included at our hotel this morning, before we depart Perce’ and drive along the carved rock seawall trail along the Gaspe’ coast, passing through numerous quaint little villages and hamlets. The countryside takes on a wider, more rugged aspect and the grade becomes steeper as we begin our climb into the mountains. We enjoy a picnic luncheon in Forillon National Park. On our right the thousand-mile-long St. Lawrence River falls away into great ocean expanses. We travel through the village of Riviere Madeleine to Matane for our next overnight stop. Dinner is included this evening at our hotel. Continuing along the south shore of the St. Lawrence, we travel through many river towns and cross the beautiful Pierre Laporte Bridge into Quebec City for the night. Québec City sits on the Saint Lawrence River in a predominantly French-speaking province. It is the capital of the Province of Quebec and one of the oldest European settlements in North America. Dating to 1608, it retains its fortifed colonial core, Vieux-Québec and Place Royale, with narrow streets, stone buildings and a European feel. This area is the site of the famous, towering Château Frontenac Hotel (the world’s most photographed hotel) and imposing Citadelle of Québec. We will stay two nights in Quebec City. We will tour this historic city with a local guide. In Old Quebec we will see centuries-old architecture, and historic sites, horse-drawn carriages, street entertainers, singers, and artists. Dufferin Terrace overlooks the St. Lawrence River right by the Château Frontenac. The terrace is by far the most visited tourist attraction in Québec City. It is alive with street artists, musicians, mimes, one-man bands, and many others. We can also see the canons that were used to defend the city more than once throughout the centuries. The evening is free to explore the amazing city with spectacular sunset views of the St. Lawrence. We depart Quebec City this morning traveling southward crossing the St. Lawrence and southern Quebec Province entering Vermont at Newport, VT just across the Canadian border for lunch (included) at the East Side Restaurant. After lunch we will visit a gift shop featuring Vermont products, crafts, gifts, clothing and souvenirs or you can just stroll on the dock. In the afternoon we continue to Hartford, Connecticut for overnight. We depart Hartford this morning traveling into New York state crossing the Tappan Zee Bridge and continuing to Winchester,Virginia for our last night. We are on the fnal stretch home, maybe a couple of pounds heavier and loaded down with souvenirs but flled with excitement and memories of the past weeks on another exciting trip with Knoxville Tours.